Find details here regarding the launch of our commercial roof maintenance program for Toronto & surrounding areas. The program is designed for building owners and property managers to manage roof maintenance at their commercial properties. The roof inspection is the first step in an overall successful preventative maintenance program. We take a detailed visual account of all issues and potential future issues that are occurring on your flat roof. All issues are documented and photos are taken for follow-up with the owner. If required, a core test can be taken to determine the condition of the roof system and qualify options available. The maintenance program will also provide the owner with a detailed roof report and plan of action for roof maintenance to get the most life-cycle possible. 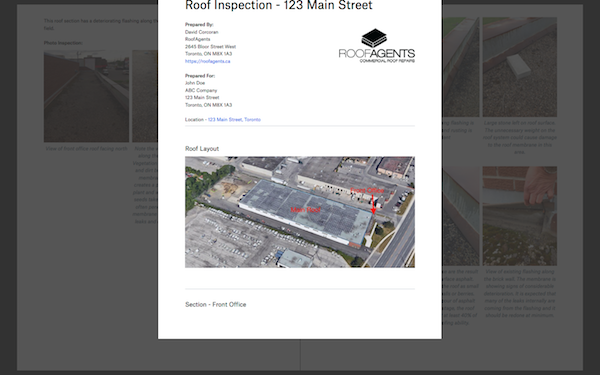 The commercial roof inspections are provided at no-obligation to qualifying building owners. In other cases, we’re able to charge for the inspection service at a reasonable rate for independent roof inspections. The commercial roof report provided is key to understanding present issues and what potential repair solutions are available. As part of the report, we provide budget numbers to help owners understand the cost implications of each solution. Depending on the size of the building we can break the report down into individual sections and highlight a multi-year plan to address repairs across the facility. The maintenance plan will help you stay on top of repairs and not be “chasing leaks” month after month. With this information at hand, owners can now make informed decisions about the best course of action for their company. Why consider a roof maintenance program? You will save money in the long run. If you invest in your roof asset year over year then you will get more lifecycle from the existing roof system. Overall, roof replacement is one of the most expensive capital upgrades required for a commercial building so all the more reason to keep it performing and in good working condition. A roof maintenance program can save up to 50 percent over the life of a 30-year roof compared to replacing it every 15-20 years. A roof can leak for days, weeks, or months before it is noticed inside the building These facts are pretty convincing! 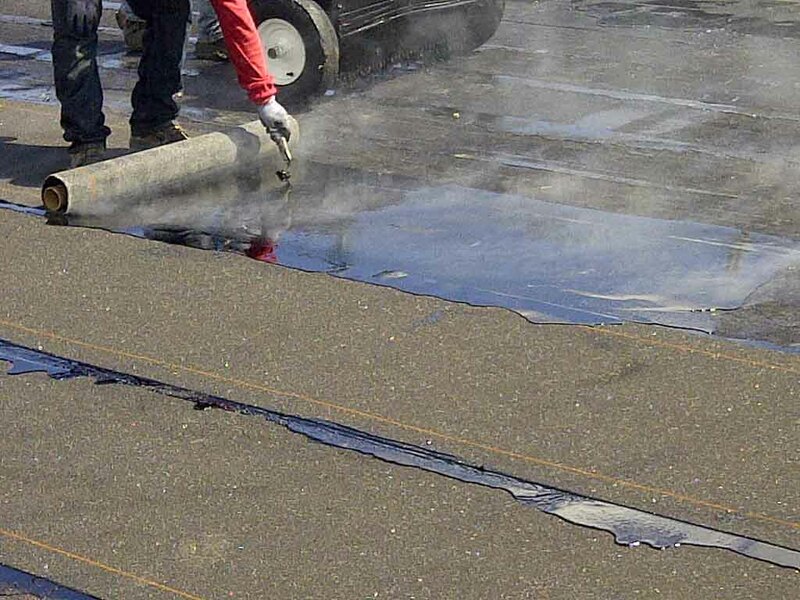 What is interesting is the last point which discusses how roof leaks can be occurring right now in your commercial flat roof and no one is aware. Unattended roof leaks can cause premature roof failure. 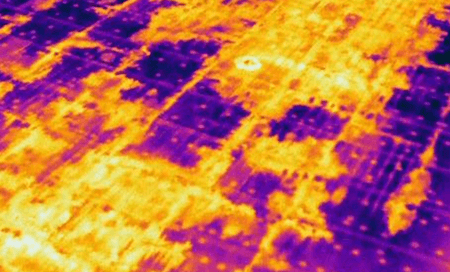 It’s crazy to think that 80 percent of commercial roofs are replaced prematurely. not entirely the fault of building owners Many roofing contractors will discuss replacement as the only option, and it is clearly not always the case. When water penetrates the roof system, it can cause damage to the surrounding areas if not addressed. 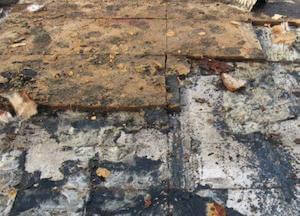 Take for example a blister on a flat roof that is ruptured and water is seeping into the roof system. Regardless if you stop the leak, the potential damage has been done. The insulation and even roofing felt will absorb the water and depending on the type it will not dry out. 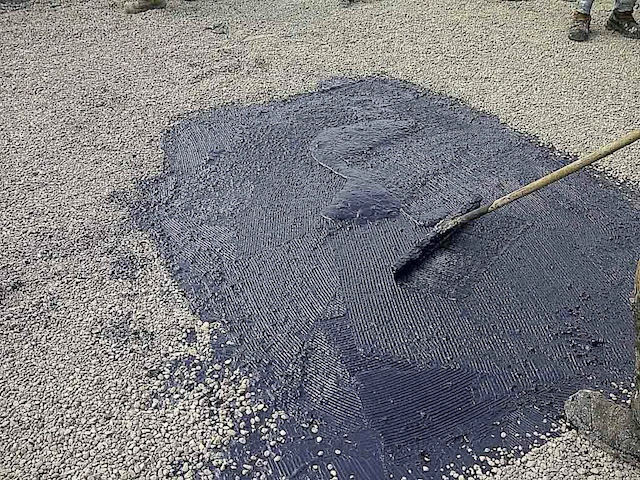 This wet area (caused by avoidable blister), will accelerate the deterioration of the roof in this area, causing further issues to attend to. Point being, sometimes just reacting to a leak and stopping the water from entering the building is not enough, at least if you are concerned about keeping the roof healthy and good working condition. Investing in roof maintenance is a smart decision for any building owner that understands the true costs of roof failure and potential replacement. A reactive approach may work but it will drain your pocket in the long run. Our roof maintenance program is a multi-phased approach which starts with the initial roof inspection and includes a plan of action and solutions for addressing your commercial roofing maintenance requirements. Latest updates from RoofAgents and relevant industry information for building owners & property managers.